Learn to code in 10 weeks with our hands-on, intensive coding bootcamp . The Full Stack Web Development course is run by our outrageously skilled team and designed to get you hired by awesome companies, or even prepare you to start your own. Complete multiple projects individually and in teams, developing real product features in real-life environments that are designed to help you learn to code and be job-ready. Throughout the Full Stack Web Development program, you’ll gain indispensable skills in leading by influence, effective communication and problem solving. Learning coding skills that will transform your future and get you that coding job you want. You'll cover both new and classic techniques for presenting content beautifully. You will also learn how to build for responsive design with techniques like Flexbox. This dynamic duo of language & framework is one of the most widely used and polished modern technologies for web development. You will learn how to build and manage SQL databases with Postgres as well as NoSQL software with Redis. You'll learn all about web programming on the server using the Express framework. Our curriculum was created to simulate a real developer’s job environment. You'll be exposed to industry-relevant technologies, and then immediately reinforce that knowledge by building applications & completing daily programming projects. WEEK 1 Git and Frontend. WEEK 5 Laravel and Agile. In this phase you focus on developing your Final Project with an intense help of our mentors and instructors. We focus on writing efficient code that is clearly documented. You learn how to optimise your frontend and backend performance, how data mining works, how to develop a secure app and the principles of testing - by directly implementing the basics into your Final Project. Download our curriculum package to get an in-depth curriculum for our Web Development Bootcamp. You will get free accommodation (yea free) close to the white sand beaches, nightlife, and access to amazing travel excursions. 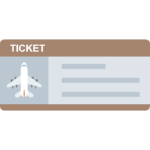 If you apply by our travel credit date you will be eligible for free airfare* to our destination and airport transfer to your unit. You will have access the 100’s of travel excursions from surfing, scuba diving, and much more. If you look at many agencies and large corporations, the world of coding and marketing employ people from every place on earth, that’s why we focus on a global network. The Career Services team is always reaching out to new employers, curating resumes, and arranging interviews. We working with our career partners to help you cultivate your career goals and lay out a plan of attack. We team you up with HR representatives from the tech field to help build you the resume that will get you hired. All our instructors and mentors are senior programmers with +10 years of working on top projects. Together they accumulate 100+ years of experience - ask them anything. Learning the best practices from experienced programmers will save you a lot of trouble in your future job. In small cohorts you move from a beginner coder to a creative coder. During our strongly practice-oriented phase onsite at the academy, you build multiple real working applications, with real teams and deal with real-world problems. If you need support with your coding our coaches are there to help throughout the day. Step by step we will teach you how to start thinking like a programmer. Learn how to break down problems and design solutions. As well as learning to code, you'll receive extensive help getting hired by the most exciting companies. Work on your profile, interviewing and communication skills and tap into our extensive network of business and agencies that are seeking awesome new talent, like yourself. Begin your career in web development with the help of our career advisers who check your CVs, give you job hunting tips and prepare you for interviews and coach you until you find your dream job. Our students are living life to the max. We look for students are are looking to get out of the bubble and explore nature. You don't need any coding experience to join Coding Experiences but you will have a passion to learn it. Click on the "Apply Now" button below and input the required fields and let us know a little about you. We will have the chance to have a quick conversation and understand your career paths and help you create the best plan of attack for a career as a web developer and beyond. Once we finish our interview and all the paperwork is submitted, we start your enrolment plan for the course and get you set up for the best adventure you can imagine. Once you are accepted into our Coding Experiences program your spot will only be reserved once we have received your deposit. Deposits can be paid by credit card, and we are able to accept cheques, wire transfers, bank drafts, or cash for the remainder of your tuition. See payment schedule for complete tuition due dates. When to apply to Coding Experiences? We recommend you apply 4-8 weeks before your desired start date as our programs start on a selected date. The more time you have for prep work the better aligned you will be for the program. Our recruitment consultants will help guide you through the process and answer any questions you may have. We respect your privacy. By signing up you would like to receive electronic communications, including emails from Coding Experiences and its partners on updates, events, and more. You may withdraw your consent at any time.